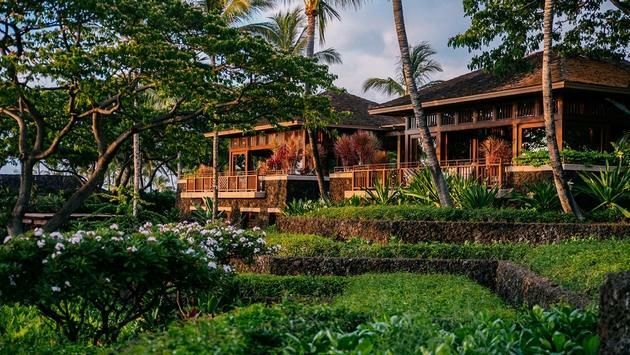 U.S. News & World Report just shared their list of the 2019 Best Hotels and coming in at number one in the United States was Hawaii’s Four Seasons Resort Hualalai. In terms of the U.S. rankings, The Peninsula Chicago took second place, followed by the Four Seasons Hotel at The Surf Club in Surfside, Florida. In terms of Gold Badge winners, there were 71 hotels awarded this prestige in California, followed by 44 in New York and 41 in Florida. Among cities, New York City had the most with 39 Gold Badge winners, while Los Angeles and Las Vegas tied for second with 14 Gold Badge hotels each. Beyond the U.S., the report found that Esperanza, an Auberge Resort in Cabo San Lucas took the top spot in Mexico, while Le Blanc Spa Resort in Cancun won the Best All-Inclusive Resort in Mexico. Canada’s Rosewood Hotel Georgia earned the Best Hotel in Canada once again, giving them this title now two years in a row. As for the Caribbean, Jade Mountain in St. Lucia won the Best Hotel in the Caribbean and the Best All-Inclusive Resort in the Caribbean. In Bermuda, The Loren at Pink Beach won gold. Across the pond in Paris, La Reserve Paris-Hotel and Spa was awarded the best hotel in Europe, followed by Hotel Sanders in Copenhagen and Hotel Eden in Rome. This year, U.S. News introduced destination-specific rankings to the Best Hotels in the U.S. portfolio and included 3.5-star hotels to assist more travelers in finding a hotel that is right for them in terms of amenities and service, as well as price. 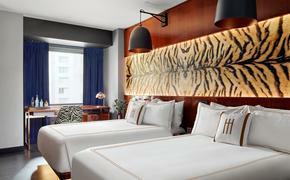 “The U.S. News Best Hotels rankings combine data from industry expert evaluations as well as traveler- focused reviews and insight to provide a more holistic idea of what each hotel has to offer,” Hannah Cheney, senior travel editor at U.S. News.said in a statement. “Readers can use the rankings to find a variety of options for every type of vacation. Whether that’s a luxurious stay in Paris or a weekend getaway to a college or beach town, we’ve expanded the hotel rankings to give readers information on even more hotels."